A get-started guide on the things you need to know to plan for retirement, including discussions of financial planning, social security benefits, health care and more. The Legal Almanac series serves to educate the general public on a variety of legal issues pertinent to everyday life and to keep readers informed of their rights and remedies under the law. 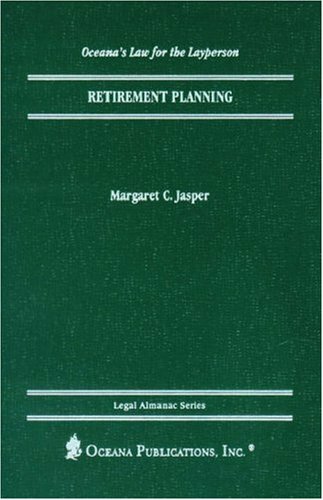 Each volume in the series presents an explanation of a specific legal issue in simple, clearly written text, making the Almanac a concise and perfect desktop reference tool. All volumes provide state-by-state coverage. Selected state statutes are included, as are important case law and legislation, charts and tables for comparison.